A NEIGHOUR'S loud music proved to much for a pensioner who finally snapped and clobbered the man with a wooden stake in the dark. The crime dented the blameless living of Charles Pearson, 62, who had no prior police record. An Ipswich magistrate found the pensioner's moment of violence warranted a jail term. William "Bill" Charles Pearson, 62, from Leichhardt, pleaded guilty in Ipswich Magistrates Court to assault causing bodily harm when armed on November 24, 2018. Prosecutor, Senior Constable Carl Spargo did not reveal in police facts what type of music was being played. Sen-Const Spargo said the neighbour, a man named "Peter", reported the assault to police the following day. Peter said his wife found him unconscious. The man told police he'd been playing music through his computer monitor when police arrived following a noise complaint. Later, at 9pm, the man walked across the street to the home of another neighbour. "When walking back home, he heard a man say 'hey, Pete', and saw a shadowy person in the dark. He said he was hit with a what looked like a metal bar," Sen-Const Spargo said. "He put his arm up and it hit his shoulder. "He said he passed out on the couch and was found by his partner the next day." Pearson told officers neighbours had argued all day about the man's loud music. Defence lawyer Matthew Fairclough said the incident was the culmination of a significant period of conflict. Pearson had lived in the street about 20 years and the neighbour had since moved out. Ms MacCallum said Pearson struck his neighbour twice that night, and until this incident had been a good citizen. She said a jail term was required for the violence. 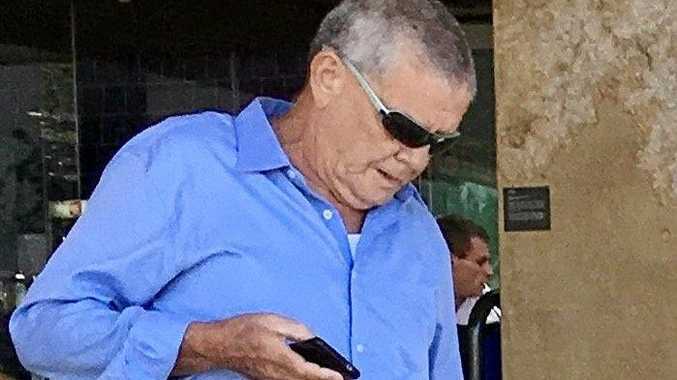 Pearson was convicted and sentenced to four months' jail - suspended for eight months.